Solid State Drives are all the rave due to how fast they are. Compared to a regular Hard Disk Drive, an SSD could be compared to Superman or even The Flash. However, these drives are not yet for everyone due to the expensive price. These drives are mainly used by gamers who want to speed up installation and overall performance. We can’t blame them because SSDs are great for such things. Just look at the Xbox One Elite and how the drive this console comes with increases performance all round. Granted, the drive inside the Xbox One Elite is a hybrid, a mix between SSD and regular HHD. The SSD section is pretty small, so the improvements to the system cannot be compared to the likes of a drive that is 100% SSD. With all these tasks in mind, a new SSD has come on the scene in the form of the Samsung 750 series SSD. This drive is not truly new since it was given a limited release earlier in the year. However, we’re talking about this drive because the price point is decent. 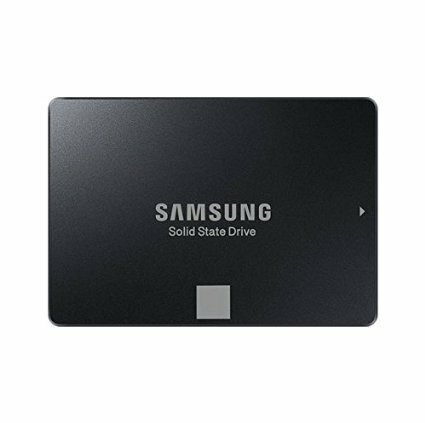 Consider the Samsung 750 series SSD as an entry level device. From what we have come to understand, there are three versions of this drive. A 120GB, 250GB, and finally a whopping 500GB. According to good old Samsung, the speed on offer here is 500 MB/s for essential read and write, which is not bad. When it comes down to pricing, the 500GB model will cost $150, the 250GB model only $84, while the 120GB model goes for $55. These are really good prices, and we urge folks to go out and pick one up for they go out of stock. The prices are great so we expect consumers, especially gamers, to gobble these up faster than chocolates.